Clean flowers, make sure bugs or insects are not present. You do not necessarily need to wash them. 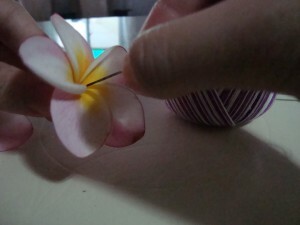 Place string inside the needle hole and poke it inside the flower, with its petals facing towards you. 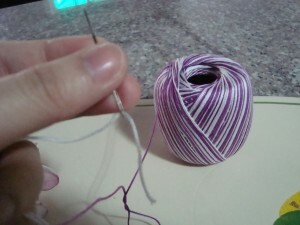 With the needle point slightly out on the back, gently pull it out and do the same procedure until the desired length. 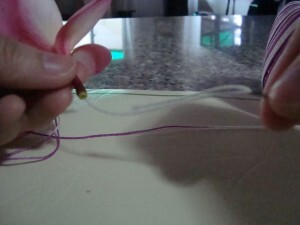 Check length if it is enough to cover the wrist. 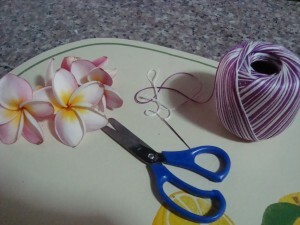 With a scissors, cut the string. 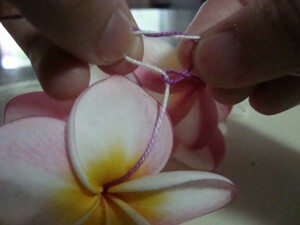 Make a knot to securely tie both ends. Adjust accordingly. And, your gorgeous Fresh Flower Bracelet is complete. Doesn’t it look absolutely beautiful…. 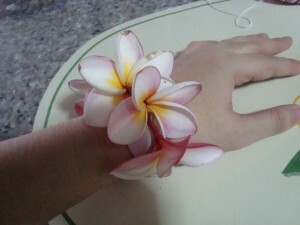 and if you used fresh flowers like I did it should smell equally lovely. Enjoy! !